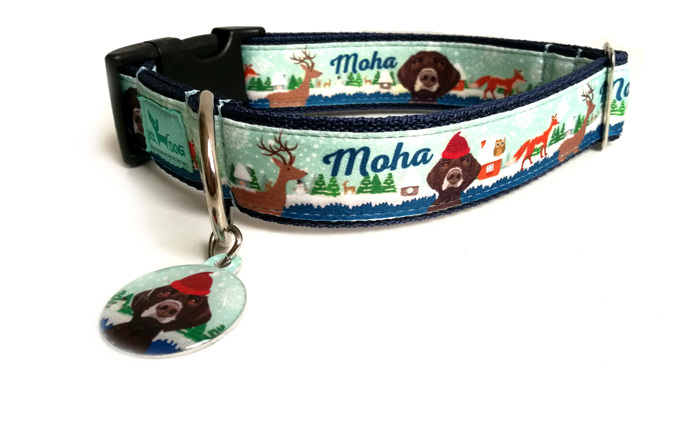 This is a very practical collar due to being able to put this on and take off your dog very fast. The metal parts are welded, the buckle is definitely hard-wearing, which is made of very durable plastic intended for military use. The decoration of the dog-collar ribbon is made on the basis of our ideas, plans and conceptions. Ideal for those dogs that are resistant or afraid of this routine. With one quick move the collar can be engaged then released. This type does not unclasp, so it cannot come off the neck of the dog. It has to be slipped through the head of the dog, and the tightness can be adjusted with the help of a slider. It is a thinner dog leash, I recommend it for small and medium sized short haired dogs, which do not pull and tug.